A film festival will be held in five big cities in Vietnam from September 6-16, screening new German movies including the award-winning 24 Weeks. This is the 8th German Film Festival to be held annually by the Hanoi-based Goethe Institute in Hanoi, Hai Phong, Hue, Da Nang and HCM City. 24 Weeks will open the film festival in Hanoi, Da Nang and HCM City with a presentation by director Anna Berrached. The drama 24 Weeks is a story of a couple who have a nine-year-old daughter and are expecting their second child. When they learn that their child will not be born healthy, they are at first optimistic that they can respond to the challenge. But the closer it gets to the due date, the more the wife begins to worry about the future of her unborn child as well as that of her family and her career. After many discussions and arguments she realises that she will have to take the decision on her own. 24 Weeks is the second movie by director Berrached which premiered at the Berlinale International Film and received 16 awards including three awards for best directors and the Silver Award German Film Prize 2017. Born in 1982 in East Germany, Berrached studied directing at the Film Academy Baden Wurttemberg. She made her first feature film Two Mothers which has released in five countries as a DVD and has earned the First Steps No Fear Award and the Dialogues en Perspective of the section Perspective German Cinema at the Berlinale International Film. 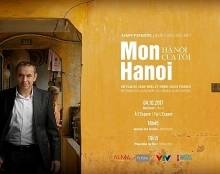 There will be a question and answer session with director Berrached after each screening in Hanoi, Da Nang and HCM City. Audiences can see Berrached as a leading actress in the 2017 drama Millenials and will have the chance to meet and talk to her after each 70-minute screening in Hanoi and HCM City on September 8 and 10. Other movies include dramas Berlin Syndrome; Wild; Tiger Girl and Under Sandet; comedies The Lotzmann Family at the Barricades and Tschick; documentary Happy which were made in 2017 and 2016. Nicolette Krebitz’s Wild won many awards at the Germany Film Awards 2017, including best feature film, best supporting actor and best cinematography. 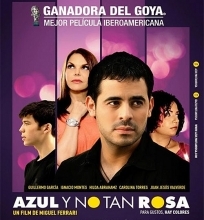 The director is also an actress and musician. American Variety highlighted Krebitz as one of the ten "Women Filmmakers To Watch". Please visit website www.goethe.de/ins/vn/en/kul/sup/dfv.html for further information.